"The Intimacy Of The Blues" is a saxophone/guitar duo, that was formed by Russell Henderson and Jamie Taylor in 2012, shortly after they worked together in a much larger ensemble, namely the Jamil Sheriff Big Band. Russ and JT quickly realised they shared an enthusiasm for the music of Billy Strayhorn and Duke Ellington, so decide to base the project around that. Their live performances feature a fair amount of storytelling and general tomfoolery, through which the listener may (or may not) pick up a little insight into the origins of these wonderful pieces. 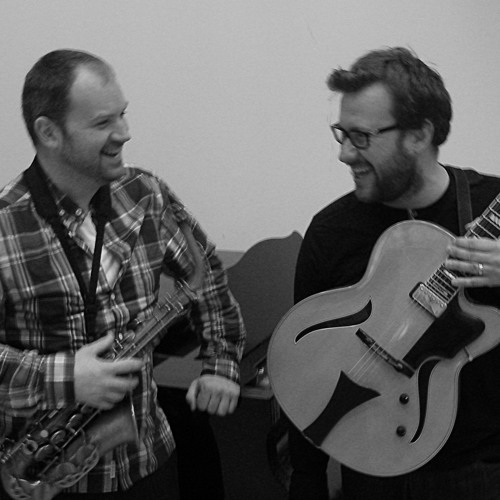 What is guaranteed, is an evening of relaxed and conversational duo jazz. This particular performance of Ellington's "Just Squeeze Me" was captured in front of a packed house at Jazz@The Lescar in Sheffield.